Ascending Butterfly: Review of the HP ENVY 23-d140t TouchSmart All-in-One Desktop PC with Beats Audio! Review of the HP ENVY 23-d140t TouchSmart All-in-One Desktop PC with Beats Audio! As a Blogger and Social Media Influencer I feel it is just as important to praise brands when they get it right as it is to use social to reach them when things go terribly wrong. We sometimes forget to praise as quickly as we tend to complain as consumers. Brands need to know it when they are doing a great job too! Straight out of College I began doing Graphic Design work, and my first post College Computer in the workplace was actually a Mac, but I was so used to PC's that I had a PC at home and used the Mac at work during the day. Don't get me wrong, I'm equally proficient on both platforms to be totally honest with you, I can shift from one to the other with relative ease. Once I changed jobs I ended up in a more conservative environment, which meant going back to PC's and my next workplace computer was an HP. After a very sad breakup with both DELL and Gateway, and a brief happy romance with a Compaq that outlasted many of the computers purchased to replace it, I made the foray into HP at home. Since I loved the HP I was using at work at the time, I thought I'd try them at home, and I bought an HP printer to go with it. That printer would actually go on to last over 10 years, but the desktop? Not so much. It didn't even survive 30 days. It took quite a bit of effort on my part to get help with this (yes this was pre-facebook and twitter), but eventually I did find help, and they did replace it, but the replacement didn't last even 6 months. I was NOT a happy camper. I was bent for some reason on the HP Pavilion Model, and both myself and my cousin who is a photographer both got lemons whose hard drives konked out before the 30 day mark. He switched brands, but I couldn't, I kept trying. To make a long story short, between desktops and laptops I've had 3 bad HP desktops and 3 bad HP laptops, that is across the span of 20 years though. In my eyes that's NOT a bad track record. I will say it was mixed how it was handled each time, and it got better after the advent of Social Media as a customer service tool. The last experience with an HP Pavilion before I switched out from that particular model was the worst because they chose to replace it with a refurbished machine that didn't last very long. So after that I switched brands for awhile, but ended up trying HP again when I found the HP TouchSmart IQ846 Desktop PC on Amazon at a great price and that coupled with some Amazon Gift Certificates I had stored up just made it too good to pass up on. I loved that PC and it actually lasted the longest any HP computer has ever held up for me, 4 years, and it was still working, just super slow and I knew it wouldn't last long, and let's face technology gets outdated, it just made sense to start over. And that's where a blog campaign comes in, but it wasn't one I was personally participating in. HP launched a bloggers campaign for Holidays 2012 called #HPFamilyTime bloggers, and a series of reviews and giveaways hit the blogs, I went and read as many of the reviews as I could and on some sites I entered the corresponding giveaways, much to my surprise I won one! 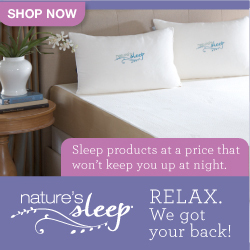 I entered the giveaway on She Scribes blog, so a HUGE thanks to her for hosting and to HP for sponsoring the giveaway. Ƹ̵̡Ӝ̵̨̄Ʒ - Go beyond the keyboard and mouse to get more from Windows 8. Swipe and tap using all 10 fingers on the Full-HD display. It gives “hands on” a whole new meaning. Ƹ̵̡Ӝ̵̨̄Ʒ - Save space in style with all-in-one PC featuring a sleek, edge-to-edge glass design. Set up with as little as one wire, and free up even more limited space by mounting the HP ENVY 23 TouchSmart on a wall. Ƹ̵̡Ӝ̵̨̄Ʒ - optional solid-state drive, it delivers outstanding reliability day after day. Ƹ̵̡Ӝ̵̨̄Ʒ - Sync photos across your PC, smartphone, and tablet. Crop, rotate, add captions, and more. Then share in seconds with friends and family through your social networks. HP Connected Photo. Picture the fun. Ƹ̵̡Ӝ̵̨̄Ʒ - Sometimes only a face-to-face conversation will do. With the HP TrueVision HD Webcam, you always come off looking your best. Even in low light. Ƹ̵̡Ӝ̵̨̄Ʒ - With Beats Audio™ and an optional subwoofer, the HP ENVY 23 TouchSmart is designed for the best-sounding, richest audio experience available on a PC. So it sounds as amazing as it looks. Ƹ̵̡Ӝ̵̨̄Ʒ - Get the most out of the tunes you love today and discover more music in a whole new way with HP Connected Music. 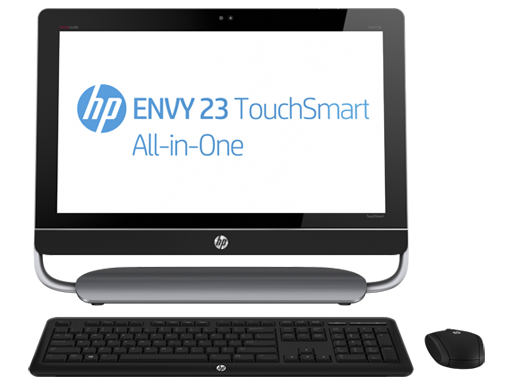 While I liked my HP TouchSmart IQ846 Desktop PC, my new HP ENVY 23-d140t TouchSmart AIO has got it beat hands down! The things that were 'cons' for me about HP computers in the past, slow startup, overly bloated, shotty hard drives, have definitely all been addressed this time around. With Windows 8 the TouchSmart finally has the right dance partner! Windows 8 truly helps bring out what makes the TouchSmart so great, it's what you love about your favorite tablet, just bigger! It's smart, starts up at lightening speed, gives you literally everything you could want at your fingertips and the 1 Terabyte of built in storage means you can go nuts with music and photos (my two particular passions!). I have had the opportunity to put this machine through it's paces, I will admit I hit my machines hard, I have A LOT of applications and programs open at the same time, client databases, spreadsheets, presentations, a TON of internet windows, and so far it's only given me 3 warnings about my browser using up to much memory. And for me that's good, my older HP Touch would just konk out or freeze up when I'd hit it that hard. This one came with Norton built in, and in the past I've found Norton to be a resource hog, but so far I will say I'm also impressed, Norton has been doing a great job protecting my new PC, it hasn't been obtrusive in any way or slowed down my PC. Thankfully I had attended the Windows 8 demos at last year's BlogHer conference, so I had some advantage now being thrown directly into a Windows 8 Operating System User Interface. There were some things I needed to learn to do differently but thankfully you can operate in 'view it in destop mode' which will look like the interface that you are more used to. THE AUDIO!!!! Sorry I don't normally shout, but as 'The Official #TwitterPartyDJ' I have to tell you that the Beats Audio in this computer blows most onboard Desktop Audio to shreds. It's simply fantastic! I'm now using this new PC to test out Audio Accessories like Headphones and then compare the sound of the headphones on my PC to my portable music devices, and I can tell you this PC does not need separate speaker add ons, it would truly be an insult to it! The good thing about being with the same brand for almost 20 years is I can almost feel how long it will last me, I know it's good, bad and ugly, but so far my HP ENVY 23-d140t TouchSmart All in One Desktop PC with Beats Audio is so much more than I ever expected it could be! I also tested the HP Deskjet 3052A printer, which I'm satisfied with, but I think my Kodak Hero 7.1 is a bit more robust. If you haven't figured it out to this point, this PC is a definite 'Get it!'. I couldn't recommend this model more highly, I actually really, really, really want to try the HP Envy 2 laptop or the HP Spectre Ultrabook so I could keep the fun going during my travels! Do you have the HP Envy Butterfly? What do you think of it? What is your favorite desktop computer? Why not let HP know on Twitter or on Facebook that you saw the HP Envy 23 Touchsmart Desktop All in One PC featured on Ascending Butterfly? Who knows? Maybe they'll want to surprise Ascending Butterfly readers too! FTC Disclosure: I was under NO obligation to write this review, no monetary compensation has been received, this is NOT a sponsored post. In fact I won the computer, so I did not have to review it, I chose to do so because I feel it's a very high quality computer and wanted to share about it with my readers! I've been needing a new computer after reading your review I think this one will fit the bill !HP ENVY 23-d140t TouchSmart All in One Desktop PC here I come! @Big Happy Buddha - You will love the HP Envy, I would highly recommend it! I have a Mac & and HP Laptop in my living room mostly for the kids. I like all the specs in the ENVY so I may check it out to add a desktop to the living room. I personally prefer a desktop to work with and only use a laptop for travel. @Maria - It has been ages since I've worked on a Mac Desktop, but I can tell you I really love the Envy, and the sound is phenomenal, I've never had sound this rich on a desktop out the box!